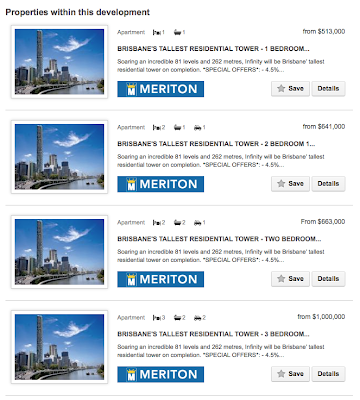 Meriton's Infinity tower in Brisbane is now at its full height -- 81 levels -- and is now the tallest tower in Brisbane. The internal fit out in the upper levels is not complete. 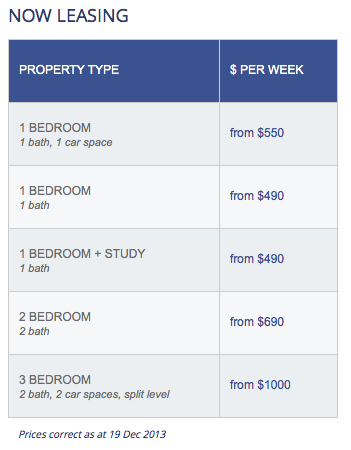 Lower levels are being occupied. 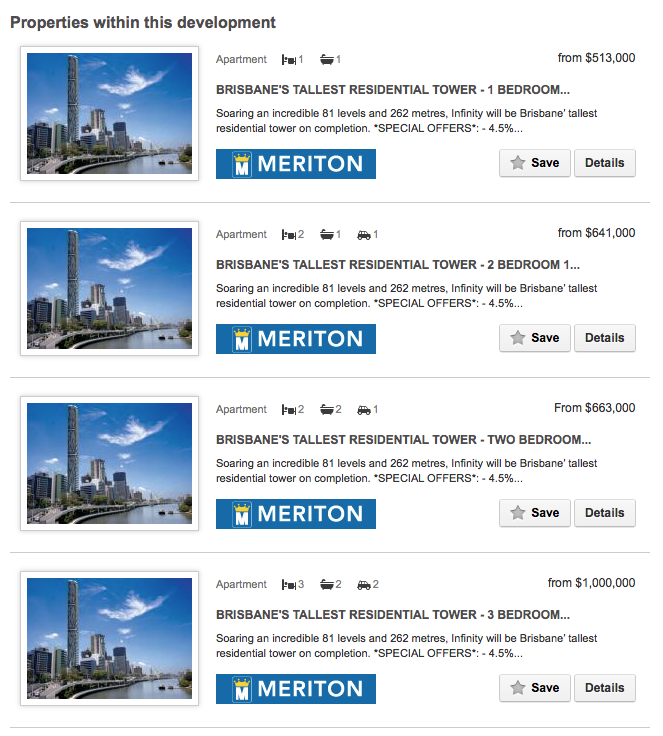 Meriton is selling apartments up to level 64. A two bedroom, two bathroom, 1 car apartment in the middle for the building will sell for around $665,000. These apartments are being offered for rent at $690 a week. No balcony. Internal size is 86sqm to 90sqm, which is not large. 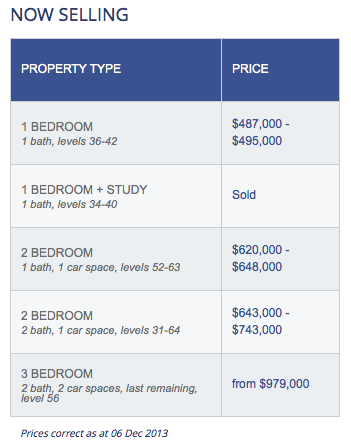 I suspect many of the buyers are not Australian residents.